After undergoing major works in November of last year, this chic, central, Insta-worthy hotel is London’s best kept secret. It’s a 1982 Sir Edwin Lutyens, Grade II listed building on Great Russell Street and it’s fast-becoming the new trendy hotspot for those in the know. 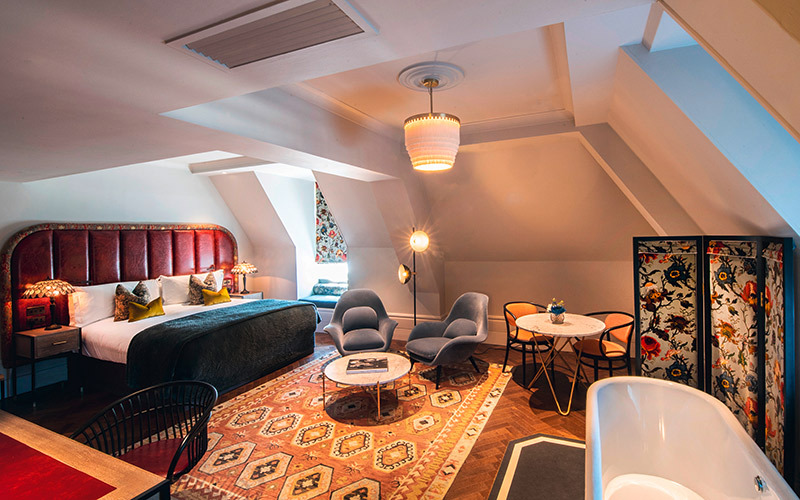 Swedish interior architect and product designer Martin Brudnizki has re-imagined the Bloomsbury into a boutique hotel that now feels like home. 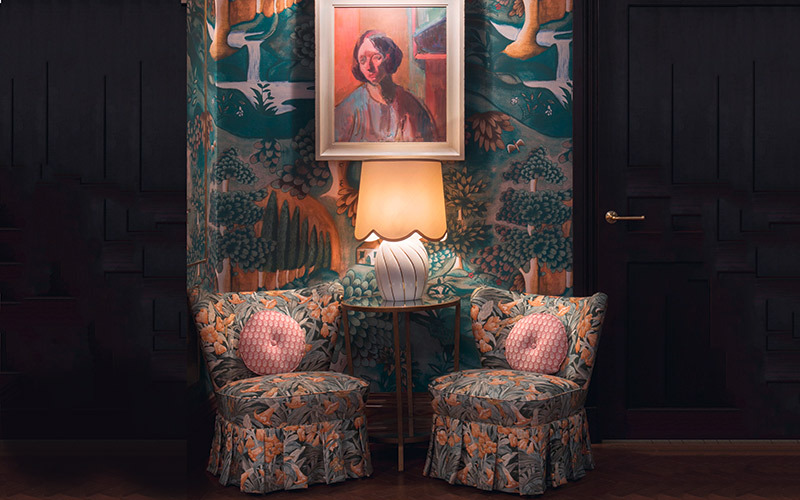 A colour palette of muted greens and pinks are accented with quirky furnishings and botanical wallpapers that welcomes guests into a newly renovated reception area. 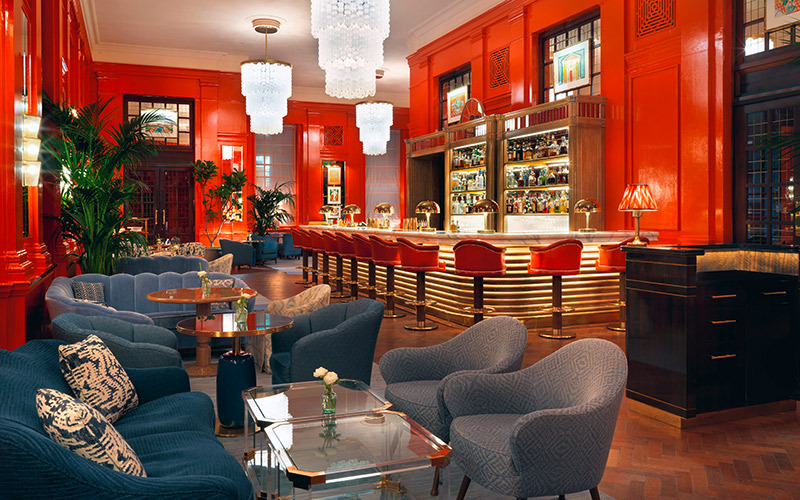 A Lutyens-inspired sitting room features a cosy fireplace which is also a focal point of this hotel, while the new eclectic bar, the Coral room, features five bespoke Murano glass chandeliers, which were specially created for the hip hangout. The rooms are contemporary in design and mimic the quirky accents and charm of the rest of the hotel. A queen size bed, designer rug, roll-top bath and velvet armchairs offer up both comfort and luxury with a bespoke nod to the hotel’s 1920s heritage. This chic Al Fresco dining spot is the perfect place for a relaxed evening dinner, or a weekend brunch. Enjoy British classics including pan-roasted venison and lobster thermidor from the all-day dining menu or choose from a mouthwatering breakfast menu of green shakshuka, blueberry buttermilk pancakes and rainbow acai bowls.